Agrarian - georgic - pastoral - agri/cultural. A working group of the NYU English Department. 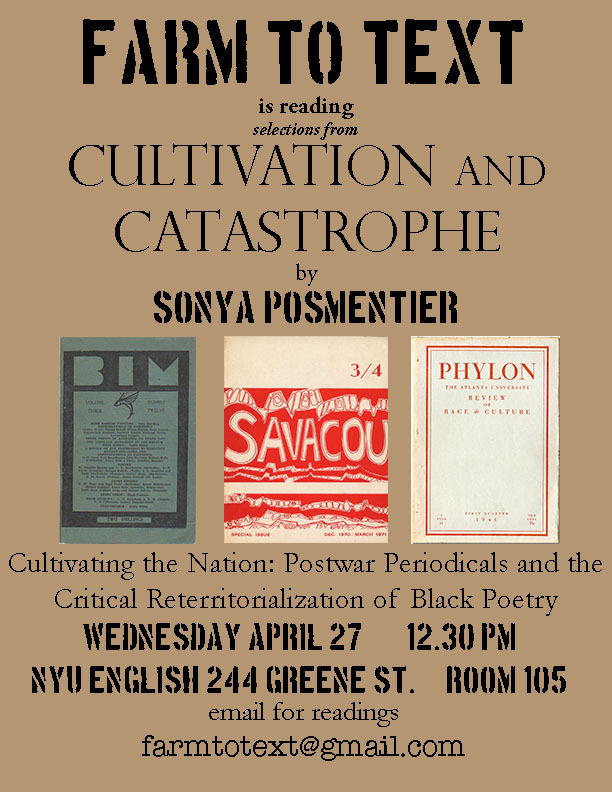 Posmentier, Sonya. Cultivation and Catastrophe [unpublished; book in progress]. Excerpt: “Cultivating the Nation: Postwar Periodicals and the Critical Reterritorialization of Black Poetry.” Please email farmtotext@gmail.com to obtain a copy. Reading Group 7 — First in the New Year!